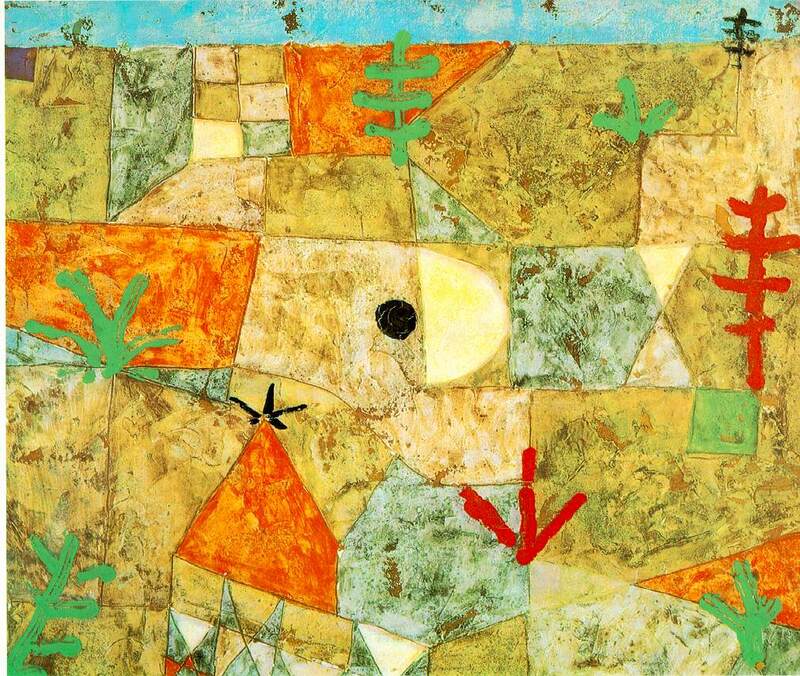 I came across this post from a few years back with a short except from the writings of artist Paul Klee. 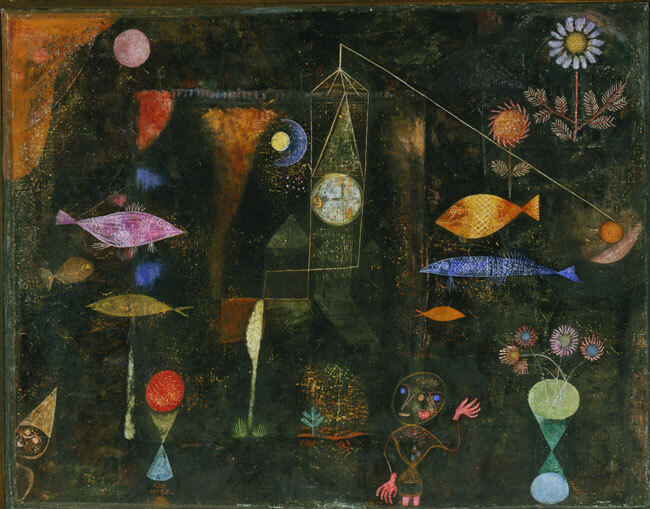 While I initially posted it as a Quote of the Week it was actually the image that stopped me in my tracks, something Klee’s work often does for me. But beyond the image, I was taken once again by his views on the parallel natures of the creative process and the creation of this world. I have read this several times over the years and while it is short in length, it always gives me something new to think about. 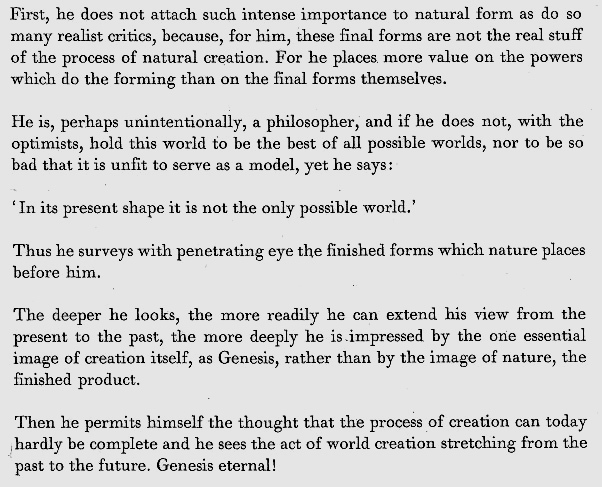 This excerpt from On Modern Art, the 1924 treatise from the great Swiss artist Paul Klee is a bit more than a quote but since this is about art we’ll be a little flexible in our definition. 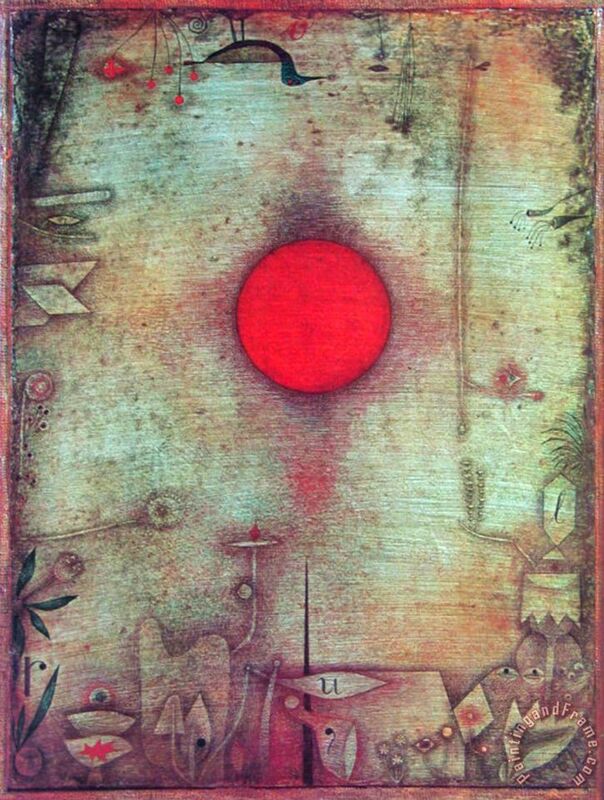 And that, I believe, would please Klee, whose works often defied definition. I know for me, he was a big influence if only in his attitude and the distinctness of his work. I always think of his work in terms of the color– sometimes muted yet intense and always having a melodic harmony to it. It always feels like music to me. And to me, that is an exciting proposition. I am getting stuff around to speak with a few classes of second graders this morning at a local school this morning. I had a wonderful experience speaking with third graders earlier in the year so I am looking forward to speaking with these kids. There is something energizing in the way they express themselves, appearing as it does without a whit of pretense. When they show interest or a sense of wonder, you know that it is the real thing. And after a lifetime of dealing with adults where most interactions contain a lot of guarded words and expressions, it’s refreshing to deal with a group of kids who respond instantly and honestly. I think at that age they have a desire to be heard. And that is something I understand and can relate to. I was somewhere around their age when I first had thoughts of being an artist and it came from my own desire to be heard and taken seriously. We’ll probably talk about that. Should be fun. At the top is a piece from one of my favorite artist, Paul Klee (1879-1940) along with a quote that I also understand from personal experience. I don’t know that we’ll be talking about that this morning. I am feeling under the weather today but really wanted to post something, out of some sort of obligation to my own discipline. 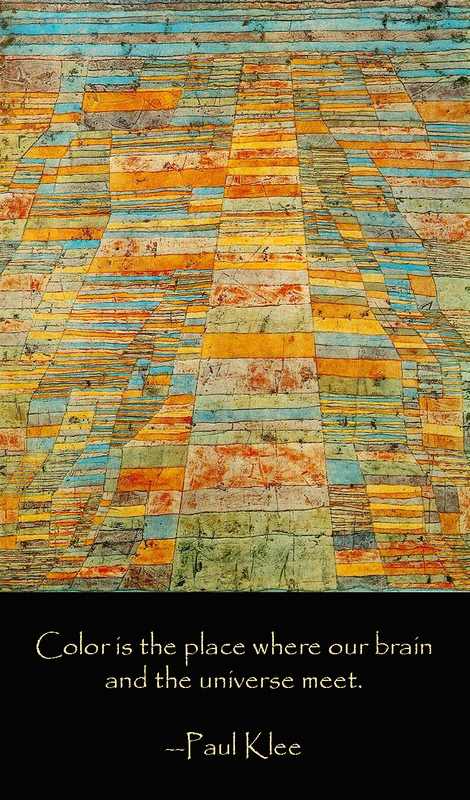 I pulled out a post from back in 2010 that features some writing from the great Swiss artist Paul Klee, whose work I have always admired. It was nice that his words also brought admiration. ……..From the root the sap flows to the artist, flows through him, flows to his eye. Thus he stands as the trunk of the tree. Battered and stirred by the strength of the flow, he guides the vision on into his work. As, in full view of the world, the crown of the tree unfolds and spreads in time and space, so with his work. ……..Nobody would affirm that the tree grows its crown in the image of its root. Between above and below can be no mirrored reflection. It is obvious that different functions expanding in different elements must produce divergences. But it is just the artist who at times is denied those departures from nature which his art demands. He has even been charged with incompetence and deliberate distortion. ……..And yet, standing at his appointed place, the trunk of the tree, he does nothing other than gather and pass on what comes to him from the depths. He neither serves nor rules–he transmits. His position is humble. And the beauty at the crown is not his own. He is merely a channel. This very much sums up how I’ve always felt about art, especially my place as an artist. A mere channel or transmitter. And when I look at my paintings, it is not in the form of a conversation so much as listening to what the painting has to tell me. I paint because I question and, at best, the paintings provide some answers and insight that I might not find or see otherwise.